Initially, I continue along the nice track through Beechforest before the it unfortunately emerges into Tussock and scattered rockfields. 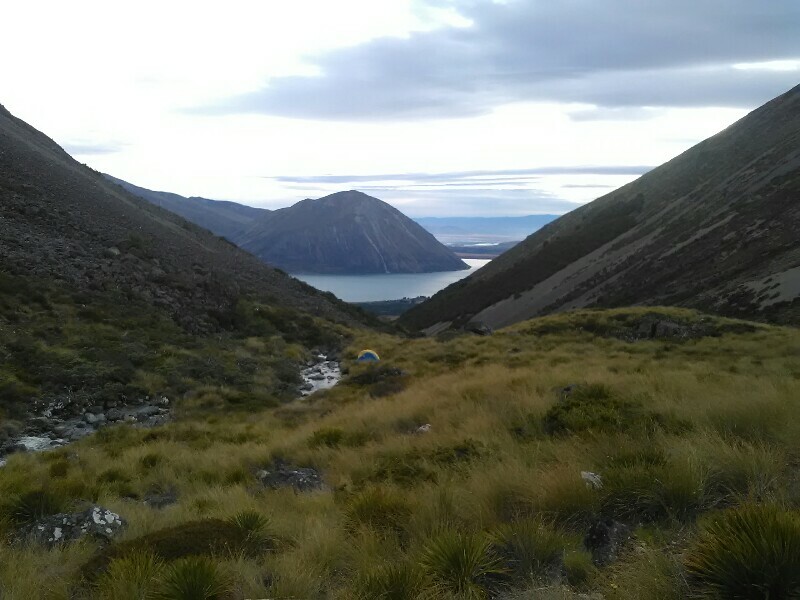 From here on it's hard going, especially the sidle above and the descent to Ahuriri River East Branch is annoyingly slow going with no real track to follow. Only few marker poles, hardly visible in the Tussock show me the direction. To be honest, I'm royally pissed. Why are some tracks perfectly maintained (eg the A2O cycleway I hiked on yesterday) while others seem to be totally neglected? I don't get it. Anyway, once the valley widens after a few kilometer, the track improves and so does my mood. 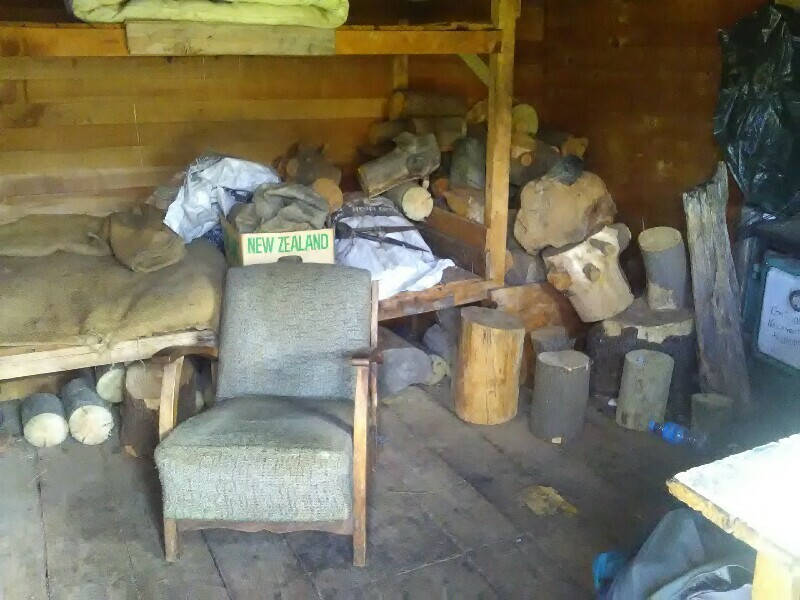 I meet an Auckland-family, section hiking TA from Arrowtown to Twizel, as well as Russell from Diamond Harbour, who probably is in his late seventies. He's really earned my respect for hiking over the saddle and on to Twizel. 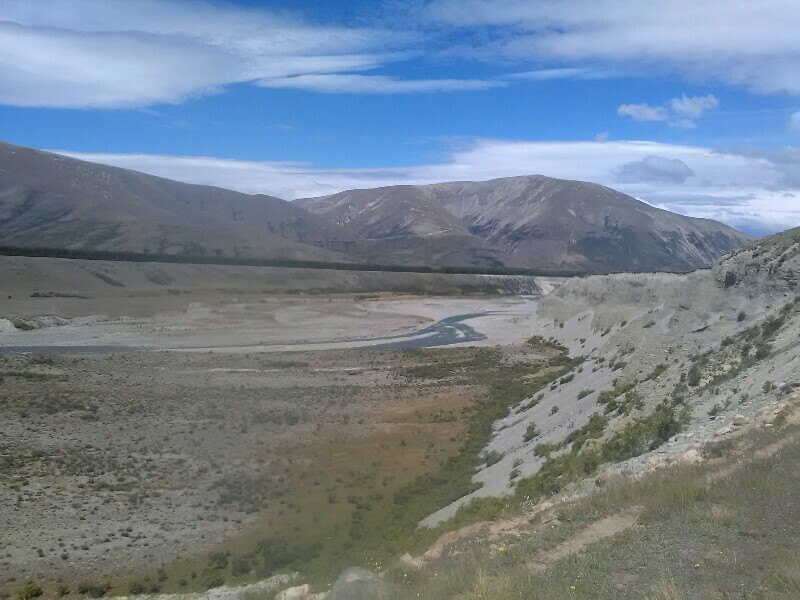 The closer I get to Ahuriri River, the flatter the terrain. Despite the strong early afternoon sun, I'm wearing my cap and gloves, as the wind beats once again. 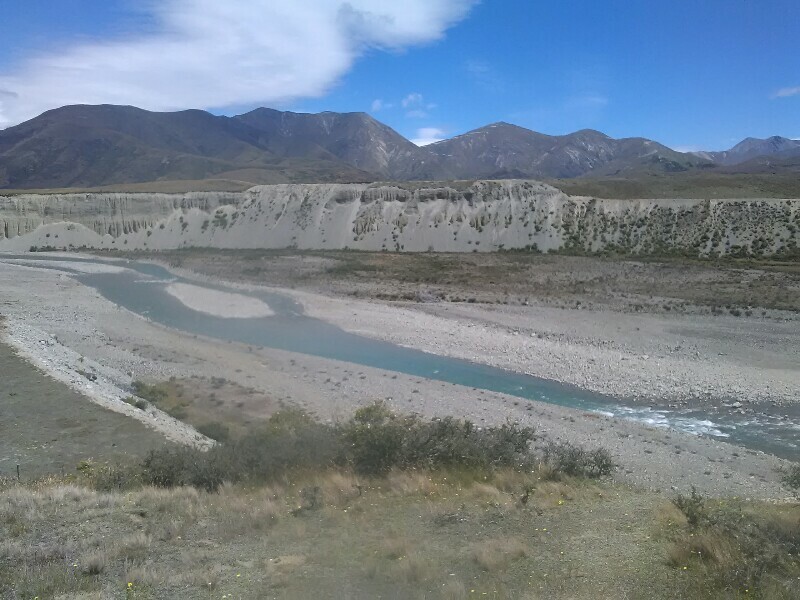 It's a super steep, sandy descent down to the Ahuriri River, the largest unbridged river on the South Island that TA-hikers need to cross. At least the descent offers good views of the river and I'm able to keep an eye on good crossing spots. I find one 150 meter downstream from the "official" crossing point. With all my spare clothes and electronical devices safely stowed in dry bags, I cross the river. Hip-deep but no strong current. The wind however, its speed probably around 30 to 40 knots, is blowing in the same direction as the river flows, makes the crossing a bit tricky nonetheless. Once across its a short, but again an incredibly steep climb up the other unstable riverbank, or should I rather say bluff (I'm really struggling to find enough grip and need to zigzag in places), before the track continues initially through paddocks than joins a 4WD track. 5 o'clock, time to look for a suitable, stealthy camp spot (I'm still within private land). Several good spots but none of them has the "wow-factor". 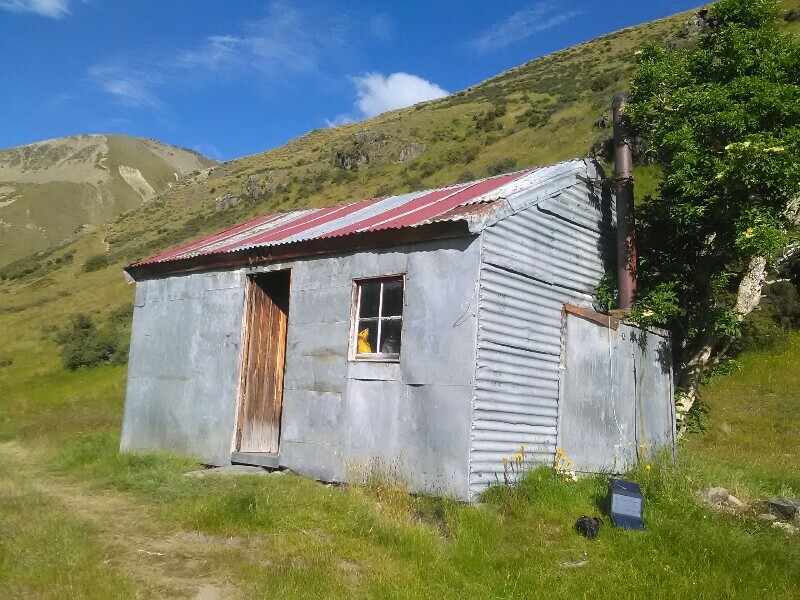 So I continue further and come along a private mustererers hut. The wee little hut is not locked and there's even a unofficial hutbook. Browsing through the book, it looks like a fair number of trampers stayed here. I'm initially quite reluctant to stay here for the night - but then again, there are no "private" or "no entry" signs. As the wind, who gave me a rough time today, is still blowing strong, I decide to stay at this sheltered place nonetheless.